Attorney Don Savatta states "I consider The Courtroom is My Theater (Post Hill Press 2018) ,by JAY GOLDBERG, to be must reading. Goldberg was appointed Acting United States Attorney for the Northwest District of Indiana by R.F.K. ("the youngest man in the nation to hold such a key job," reported The Chicago Tribune), with the mission of ridding the area, a virtual suburb of Chicago, which J.F.K. and R.F.K. both labeled as the most crime-ridden, mafia controlled area in the United States. Goldberg also served as counselor to the Department of Justice, and was initially a Manhattan Assistant District Attorney. The book is so enormously valuable, as evidenced by Professor Seidemann's book, In the Interest of Justice: Great Opening and Closing Arguments of the Last 100 Years, carefully selecting 20 of the finest summations since Clarence Darrow's summation in the Scopes trial. The author writes, "The arguments showcased here highlight the tactics and strategies, colorful language, and stirring rhetoric that lawyers use to win judge and jury to their side. One of the finest summations - of the last 100 years, was one of Mr. Goldberg's in U.S. v. Capasso. In the Prentice Hall publication - Handbook of Cross Examination - the author wrote, reprinted is the cross examination by the formidable trial lawyer, Jay Goldberg in his masterful cross-examination of the key witness, Sammy "the Bull" Gravano in U.S. v. Gambino. The reader is taken through the thickets involved in representing some of the world's most powerful characters and interacting with the most influential persons, including J.F.K., R.F.K., Donald J. Trump, Willie Nelson, The Rolling Stones, (as co-counsel), Miles Davis, Sean "Puffy" Combs, Johnny Cash, "Men of Honor":"Jimmy Blue Eyes, Matty "the Horse," Mayer Lansky, among others. 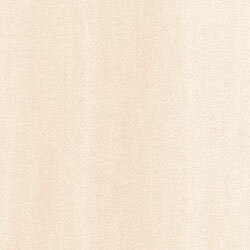 Where and how to find the key to a winning result is highlighted. A former Chief of the Criminal Division of the U.S. Attorneys' Office Southern District, New York wrote, "I consider you to have the best killer trial skills I have ever seen in my years of practice, and I have worked with the best, - courtroom presence, capturing the jury's attention through devastating cross, and summations that have jurors on the edge of their seats." A Justice of the Supreme Court wrote, "I consider him [Goldberg] to hold the distinction of being one of the most skilled, if not the most skilled, trial lawyer in the United States." 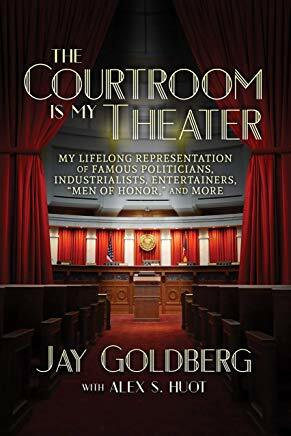 Mr. Goldberg's powerful 2018 book, "The Courtroom is My Theater" is available on Amazon.com. "My husband is blind and misses reading the books that he loves. I have been reading "The Courtroom is my Theater" to him and we are now on the 4th chapter. The book is very easy to read and to understand and the language is simple. The topics are controversial because they are primarily centered around the experiences in the life of a legal professional but are written in a very congenial manner. I would recommend this book to anyone who is interested in law, politics, the mob and the interactions that come with being exposed to the mixture of comic seriousness presented in this book. We are enjoying the book and hope that others will, too." - Anna S.